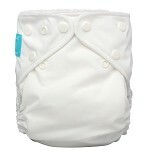 With 6 Inserts, 2-in-2 Reusable Diapering System, Big Saver, Ideal Gift We love cloth diapers for their many benefits. But after speaking with many cloth-diapering parents, we realized they were still buying disposable diapers for certain occasions, such as holidays and drop-offs with grandparents. 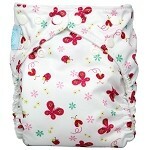 Charlie Banana® diapers are a “2-in-1” reusable diaper system. It’s a cloth diaper but with a smart front panel that gives you the option of tucking in a disposable pad for those special occasions. With Charlie Banana® diapers, you get the best of both diaper worlds!